The Shirayukihime has all the good things in it- avocado, bacon, prawn, pork, and cheese. Really wonderful combination of flavors and to experience it best, you need to dig in from the meringue up to the okonomiyaki part. Oishii!!!! Chibo Okonomiyaki is located at the 5L Podium Mall in Ortigas Center and has a seating capacity of about 50 pax. 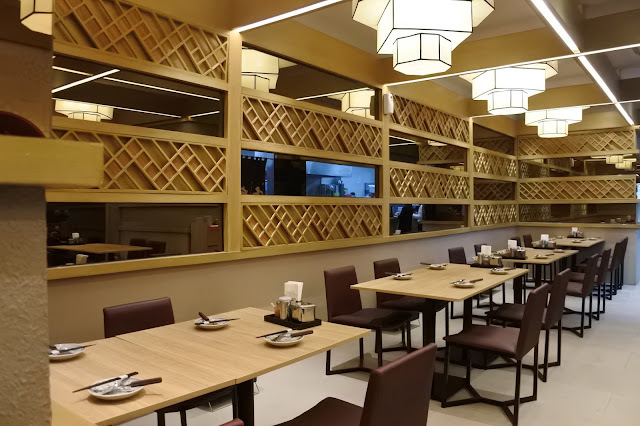 It has an open kitchen so that diners can see the chefs in action. 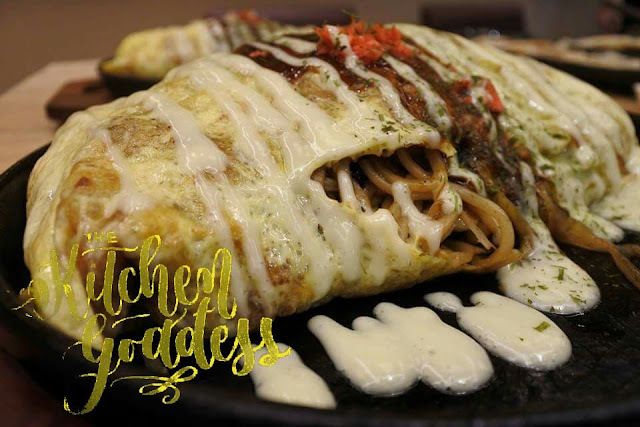 By the way, an okonomiyaki is the Japanese version of a savory pancake or omelette. This is Butatama Okonomiyaki, P288. Upon serving, you'll just be given a plain looking okonomiyaki on a hot plate. 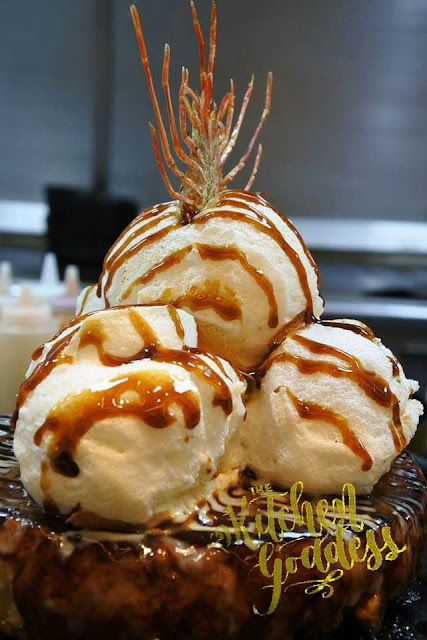 Then the server will add some mayo and okonomiyaki sauce on it, thus creating a nice pattern. Then it will be topped generously with bonito flakes and nori powder. 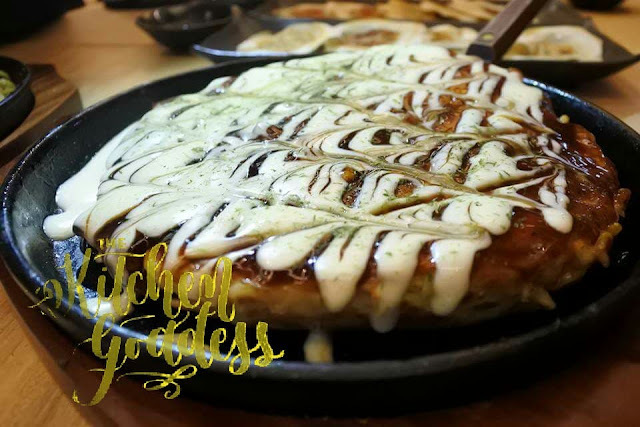 I do love okonomiyaki and the ones I've tasted before doesn't come close in appearance and taste good as this one from Chbo Okonomiyaki, no kidding. 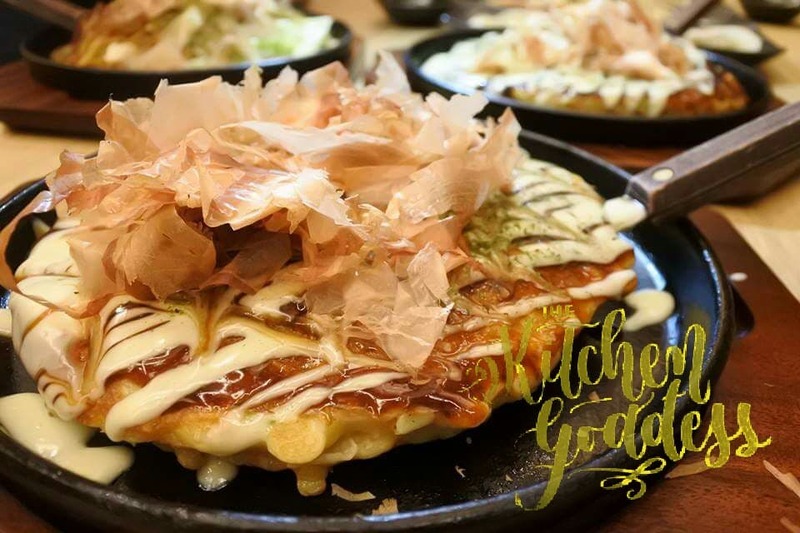 This okonomiyaki has generous fillings, and doesn't taste dry nor have that flour-y taste. Itadakimasu! 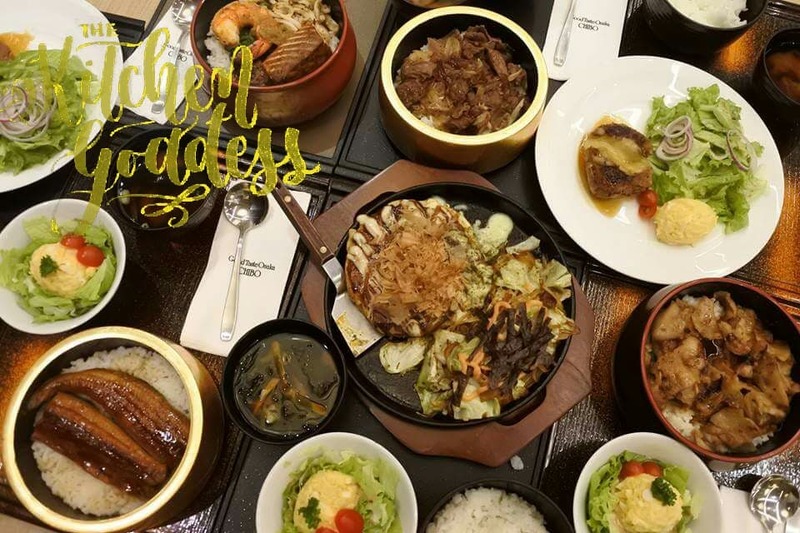 Aside from okonomiyaki, the restaurant has a very extensive menu that also includes some flavored sake and other drinks that best complements the meal. Pork Ju, P488. This is an Executive Meal Set and comes with a serving of mashed potato and salad greens, and miso soup. The Pork Ju is quite a filling meal, literally. See that serving portion size? Huge! The pork is very tender and I love the Shoyu wine sauce. I also love the mashed potato because it has some eggs in it. Yum! 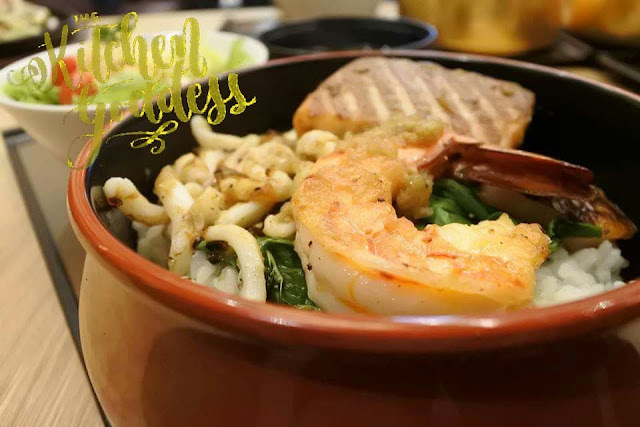 Another tasty choice from the Executive Meal set is the Mixed Seafood Ju, P688. This is a winner! Huge chunk of salmon, prawn, scallop, and squid. 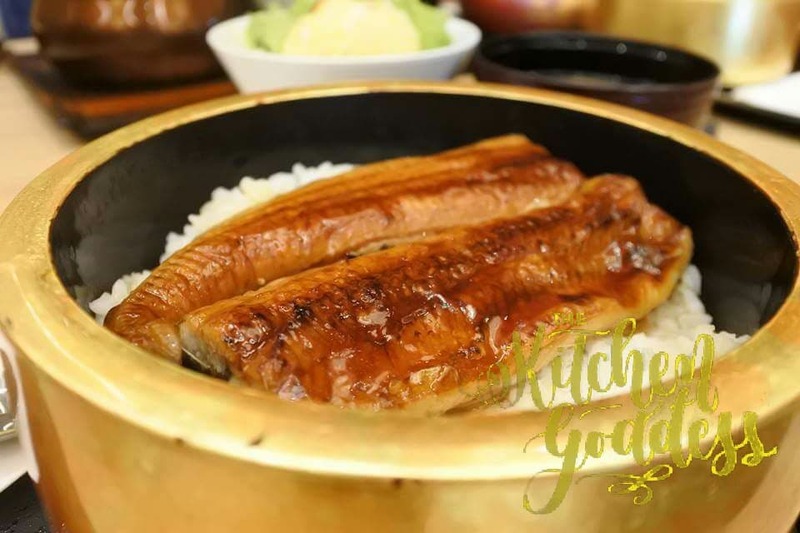 Unagi Kabayaki Ju, P888. Unagi is a Japanese favorite because of its rich taste and health benefits. The unagi served at Chibo Okonomiyaki is succulent and really, it is hard to describe how good it is especially with the sweet and salty sauce that pairs well with each bite. Cheese Hamburger Steak with Teriyaki Sauce, P588. 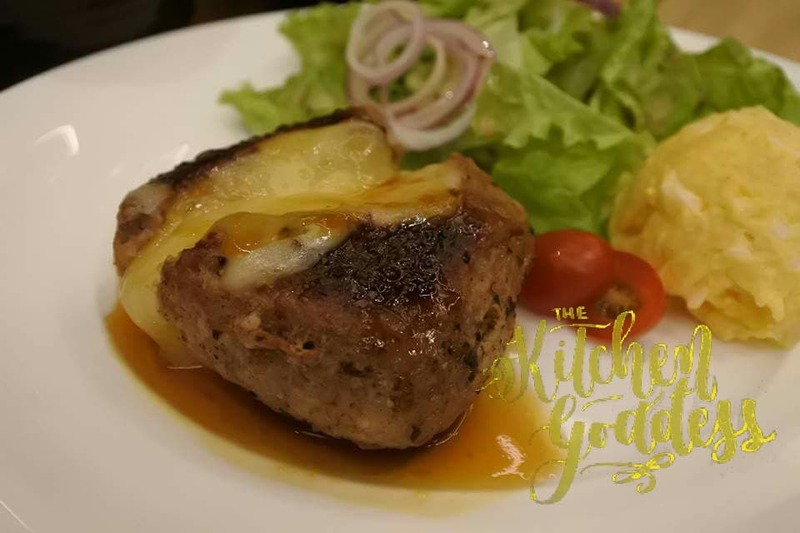 For those craving for a Continental meal, the restaurant also has Cheese Hamburger Steak or Hamburger Steak (P488). 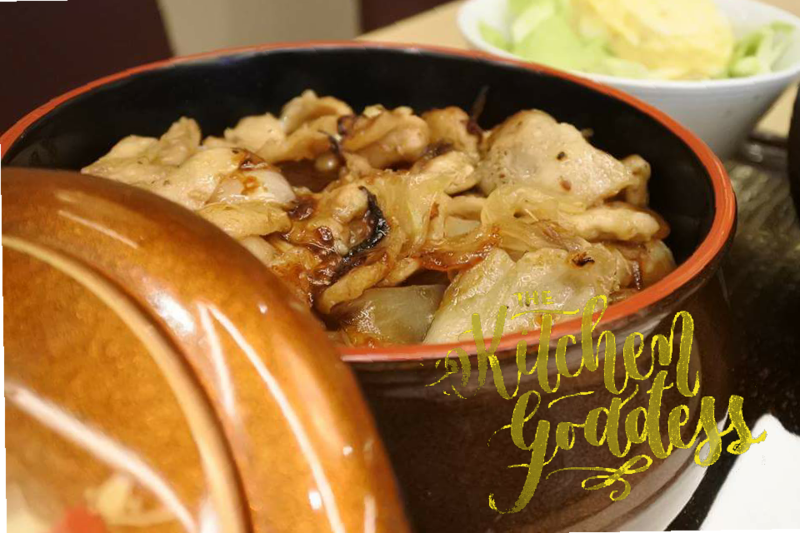 Gyoza Teppan, P168. 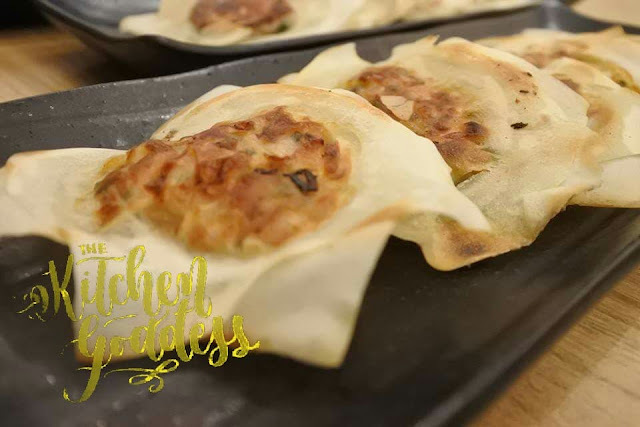 I find the gyoza teppan delightful to eat although I advise that you eat it as soon as it is served so that you'll get to enjoy the "crunch" of the gyoza wrapper. No need for dipping sauce, too. It is good as it is. Omusoba (Omelette Yakisoba), P288. 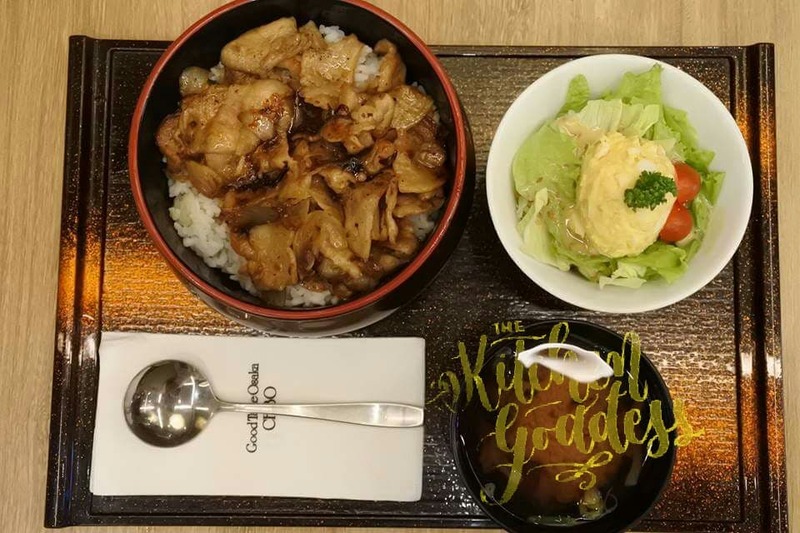 Two beloved Japanese dish in one serving. Kampaii!!!! Overall, it was really a pleasant food tasting at Chibo Okonomiyaki. I do have my favorites but all the dishes served surpassed by expectations. And I really have to say again that it is a work of art. Very photogenic and delicious. Can't wait to bring my family here soon.